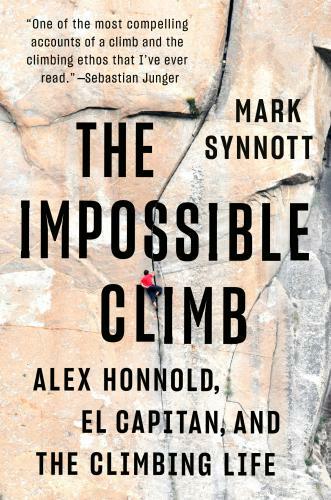 The Impossible Climb: Alex Honnold, El Capitan, and the Climbing Life (Hardcover) | Eagle Harbor Book Co. If you are an experience mountaineer or (say) a designer of quilts, read this book since both of you will then have one thing in common; a sense of wonderment that any sane person would (let alone could) do what Alex Honnold did. Considered the last great rock climbing challenge, he climbed 3000 feet straight up the most difficult route on El Capitan without help - no rope, no partner, no equipment. The author, himself an elite rock climber, astutely explains how someone can seemingly lack the capacity to experience fear. The complexities of us humans are magnified in this telling. The purity of the pursuit butting up against the pressure to monetize doing the impossible; petty cruelty and selfless concern for others, and self-confidence bordering on insanity all the while preparing for the climb with thousands of hours choreographing the exact placement of every hand hold and a nubbin of friction for each foot hold. By the end we wonder; which of us is living the fullest of a lives.